A blood test for hepatitis is mandatory in a number of cases, for example when performing elective surgery. It is important to properly prepare for the delivery of this analysis. The term "hepatitis" modern medicine brings together a group of liver diseases, among which it is customary to distinguish several main types. Depending on the nature of the disease and its symptoms secrete hepatitis, which are usually marked by Latin letters from A to G; in addition, there are the so-called radiation hepatitis, drug hepatitis and a few other types of this disease. However, the highest value for a specific patient, and for society overall are two main types of hepatitis - b and C. This is due to the fact that the disease is easily transmitted from person to person, can become chronic and cause more serious health problems, including liver cirrhosis and cancer. Therefore, a blood test for these types of hepatitis is part of most of the statutory surveys patient, for example, when planning surgical intervention or in the course of pregnancy. In addition, your doctor may order a blood test for hepatitis in the case of a serious suspicion of the presence of this disease. Delivery of the material to be tested for hepatitis is done by blood sampling from a vein of the patient. 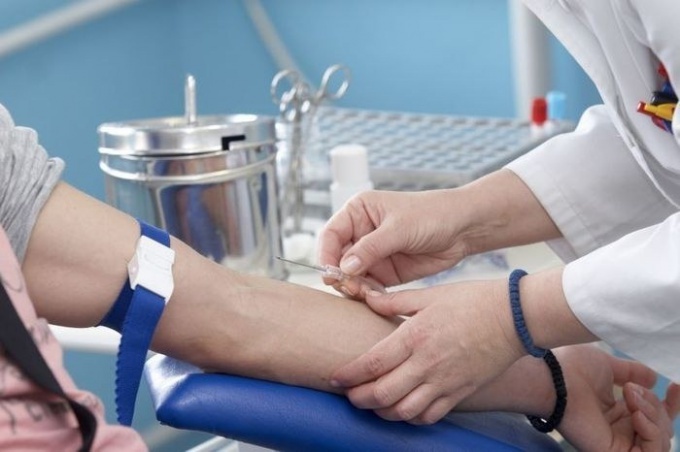 Regardless of which type of hepatitis is analyzed, it is desirable to come to the laboratory to delivery fasting: as a rule, experts recommend that between the last ingestion and the procedure of blood sampling there was a time period of not less than 8 hours. If the hepatitis test for routinely, for example, in the procedure of preparing for surgery or in the course of pregnancy, blood sampling can be carried out any day. However, if the reason for the direction of the analysis was the suspicion of the presence in the patient of one of the types of hepatitis, the doctor may prescribe a specific period to donate blood. The fact that the conclusion about the presence or absence of virus in the body in the process of interpretation of this analysis is done on the basis of the presence or absence in the patient's blood of antibodies to the hepatitis b virus. They, in turn, indicate the presence of contact with this disease. However, these antibodies do not appear immediately after the contact formation takes some time. So if the doctor intends to establish, for example, the presence in the body of the hepatitis C virus, to be tested, it is advisable not earlier than 6 weeks from the moment when there could be an infection. So be sure to inform your doctor about your suspicions regarding the period of the alleged intrusion.